In 2012, a young beatmaker called Flume burst on to the scene and single-handedly changed the face of Australian dance music and its possibilities. The then 20-year old had just one single (‘Sleepless’) and one remix (Hermitude’s Hyperparadise) to his name. The buzz was growing, thanks in part to a standout afternoon performance at Splendour in the Grass, but his audience was confined largely to fans of underground electronica propagated by rising tastemaker label Future Classic. Today, Flume is a multi-platinum selling, internationally recognised career artist, creating his own space in electronic music. 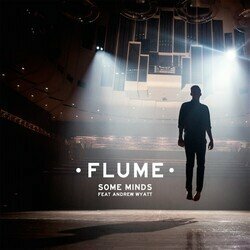 Flume has shared a new original work, 'Some Minds' via triple j. The track, which features Miike Snow’s Andrew Wyatt. Wyatt provides his signiture octive-hoping vocals atop of skitting drum loops and driving synths. It's a slow burner that opens three-quarters of the way through into Flume's iconic sound.